These are really exciting times for accounting professionals. In an earlier blog post, “Time is Fast Running Out,” I explained why the government proposals suggest we’ll need to move all our clients to cloud accounting systems over the next few years. If you think about it, that represents a huge opportunity. However, in a follow-up blog post, “It’s Crazy Giving Our Services Away for Free,” I talked about how almost 40 percent of accounting professionals who are already moving clients onto systems such as QuickBooks® Online are doing so for free. And, yet, other accountants who have implemented effective pricing systems now get over £1,000 (or $1,294.53) every single time. You can migrate your clients onto QuickBooks Online for free, and continue to find yourself working far too hard for too little money. Or, you can do what others are doing and earn anything from £1,000 and upwards for each migration. Benchmarking surveys I’ve carried out in the past show that the number of clients per partner in the UK is just over 200. Even if we assume a typical firm has already moved 40 percent of its clients onto the cloud, that would still leave about 120 clients. If you create a plan to move all remaining clients to QuickBooks Online over the next two years, that would be five per month for a typical accounting firm. What would your numbers be? If you put in place a pricing system for charging at least £1,000 for each migration, that’s £5,000 (or $6,476) of revenue every single month for the next two years. And, if like many other accounting professionals, you are currently doing this work for free, so that’s £5,000 of profit every month. That’s why it’s such a big opportunity. But, how do I package up and price the service of moving people onto QuickBooks Online? My advice would be that your starting point should always offer people different choices. Creating different options is one of the key ways of tapping into value pricing. One of the most important things to remember about value pricing is that everybody values things differently. If you have a single fixed price for moving people across to the cloud – let’s say £500 (or $647.60) – I can guarantee that it will be wrong. That’s because when you’re talking to a client about moving their financial systems to the cloud, the chances of £500 being the exact price they’re prepared to pay is so unlikely. Instead, the price they’re willing to pay will either be higher or lower. If it’s higher, then you lose out because they would have been happy to pay more. If it’s lower, you lose out because you’re too expensive and they won’t buy from you. The starting point is to create different packages. Give them a choice so that they pick the option that best matches their perception of the value and the amount they are willing and able to pay. In my next article, I’ll be looking at this in more detail. And, I’ll be explaining exactly how you can package your service and present it to clients in order to get better prices. Mark Wickersham is known as the most sought after profit improvement expert in the accounting community. He is a widely published author on practice issues. In May 2011, his book, “ Effective Pricing for Accountants ,” was a #1 Amazon bestseller. 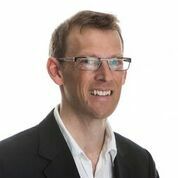 Mark has over 100 recommendations from accountants on LinkedIn; connect with him on LinkedIn to get access to free resources Mark has created for accountants in practice.